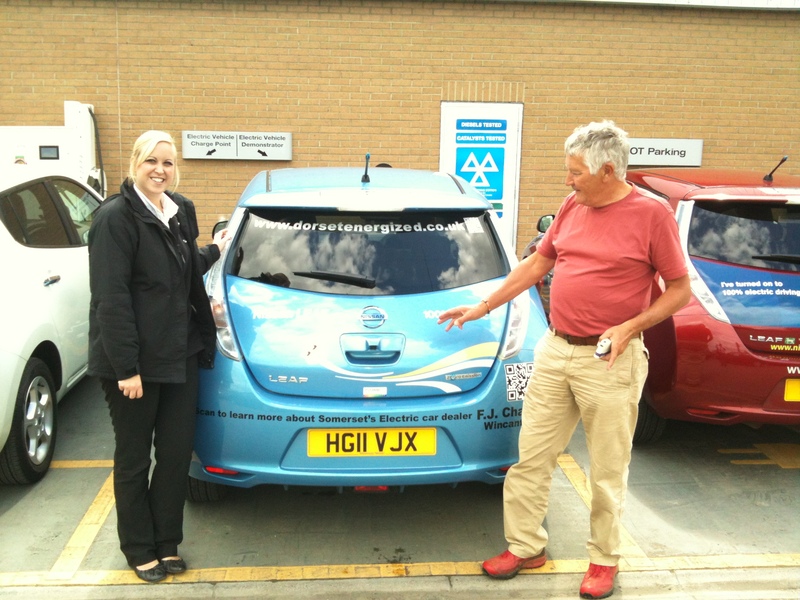 3000th Nissan LEAF takes to the UK Highway! 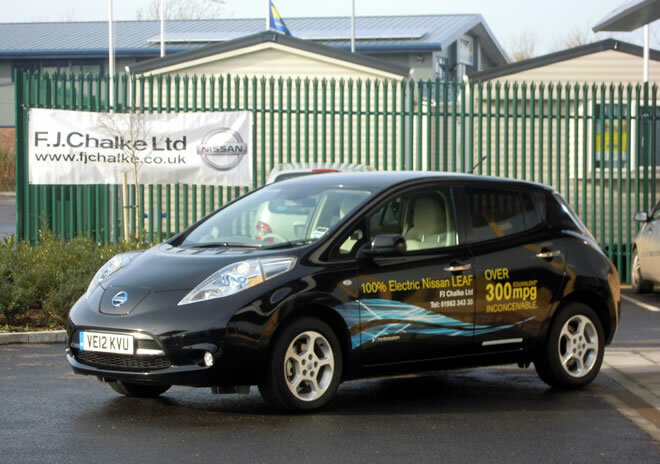 Nissan has clocked up a massive 3000th sale of the all-electric Nissan LEAF in the UK! Nissan hit the landmark figure in November 2013 when a total of 141 new British built LEAFs were registered in dealerships across the country. Nissan’s second generation LEAF which is built in Sunderland, UK has over 100 improvements over its predecessor and has secured over 1300 UK sales in just 3 months. 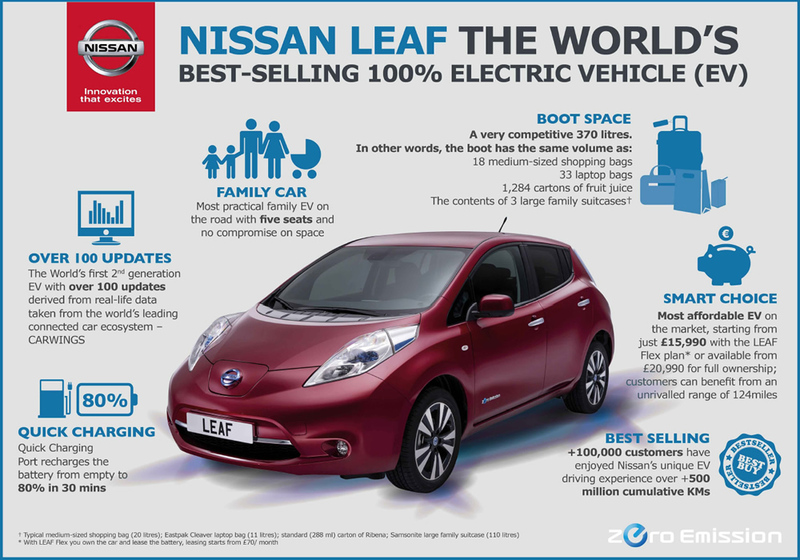 The Nissan LEAF continues to grow in other countries to date more than 16,000 have been sold in Europe, while global sales have topped an amazing 87,000. 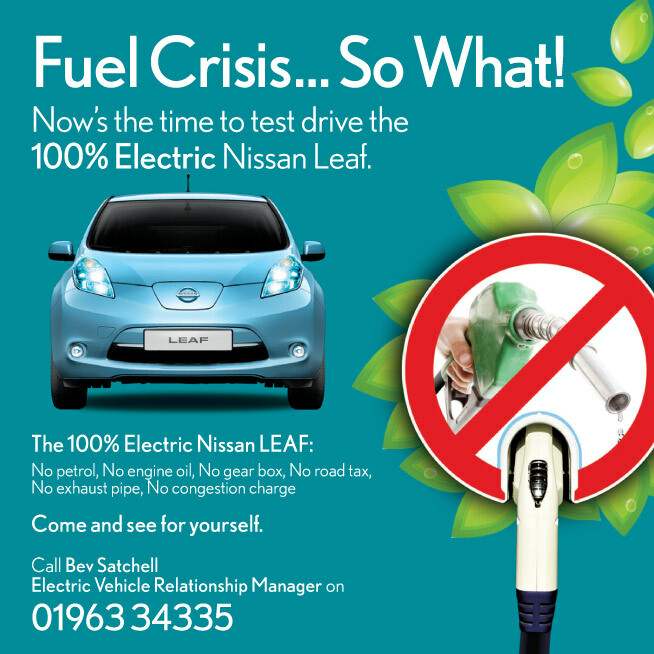 For more information the Nissan LEAF and to book a free test drive call me on 01963 34335. 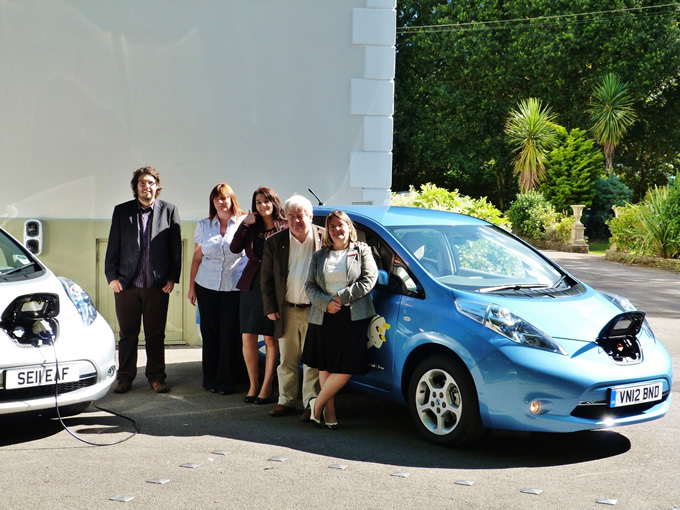 Nissan had a record month in September selling 331 Nissan LEAFs, and to keep these Nissan LEAFs powered the electric highway is growing with help from Ecotricity. 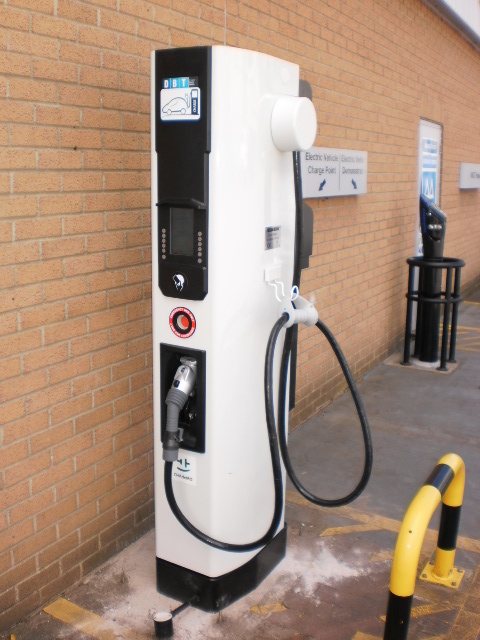 They have been installing chargers including rapid chargers (allowing you to charge 80% in 30 mins) to Welcome Breaks since July 2011 where they installed their first rapid charger at South Mimms services. 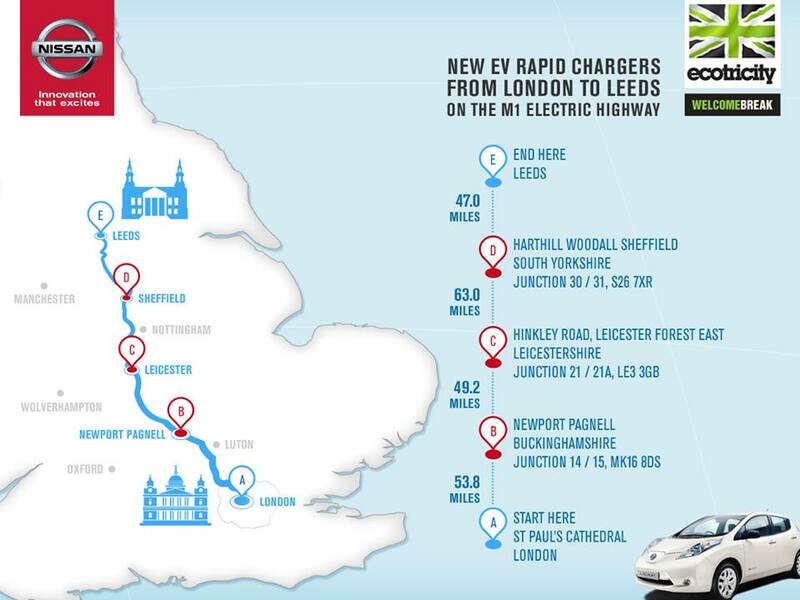 You can now travel the 213 miles from London to Leeds using the rapid chargers on the electric highway. 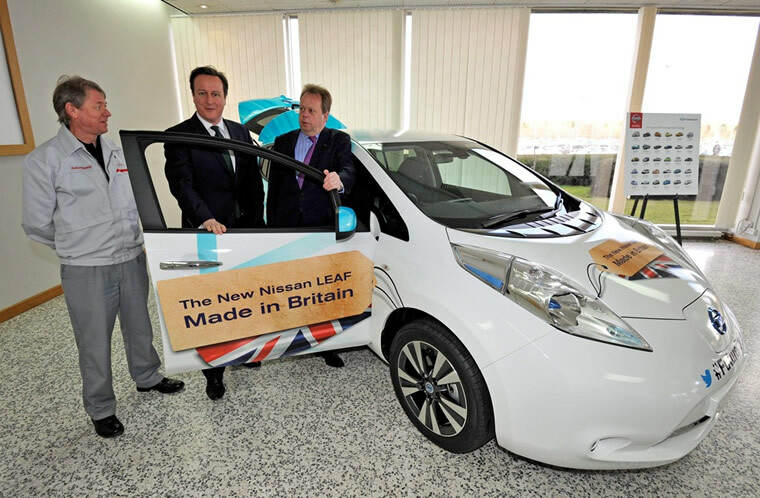 Thursday 28th March 2013 saw the 1st Nissan LEAF come off the production line in the UK in Sunderland, with the batteries also being produced at Sunderland this is a double celebration. This means that we are another exciting step closer to the launch of the New (Made in Britain!) Nissan LEAF. The New Nissan LEAF boasts 100 new improvements with a range of 124 miles, faster charging time and increased bootspace to name just a few. If you would like more information please give me a call on 01963 34335 or email sharon.fay@fjchalke.co.uk. 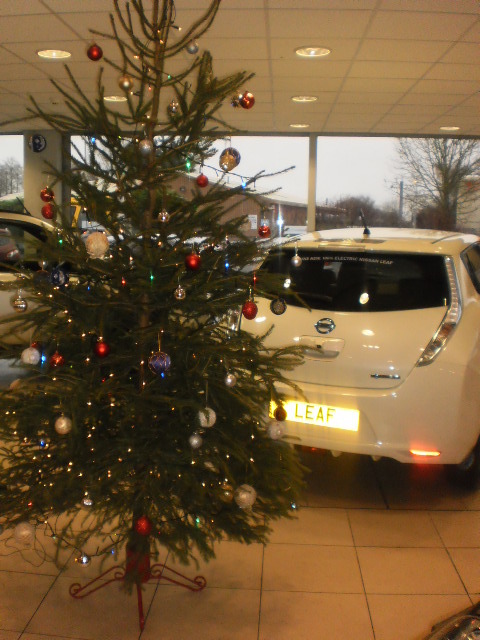 We look back over a busy 2012 with the 100% electric Nissan Leaf here at our FJ Chalke Wincanton showroom, and we look forward to an even busier and exciting 2013 when the Nissan Leaf will start to roll off at the Nissan Sunderland Plant in the UK. 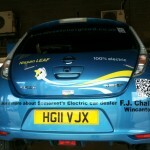 Keep an eye on my blog posts here at Dorset Energized and our website www.fjchalke.co.uk/eco for updates and information about this and everything Nissan Leaf at FJ Chalke! It just leaves me to wish you all a Merry Christmas and a Prosperous New Year! "I did a trip to London today, stopped halfway to Richmond near Camberley,30 minute fast charge both way’s and just got home safely. What’s Santa going to put in your stocking ? Could it be the new Leaf or even a test drive, I can highly recommend "
Costs like fuel that just keep rising but you can charge the Nissan LEAF from as little as £2.03 for a full charge. This is an annual cost of £186 based on 10000 miles per annum. With the average cost of a gallon of petrol now £6.32 what does you car do to the gallon? The Nissan LEAF is 339 mpg. We all hate to pay road fund license, but with the Nissan LEAF this is NIL and the same with the congestion charge in London which is normally £8 a day but NIL if you have a Nissan LEAF. All these savings add up plus with the £1600 deposit contribution with Nissan Finance you can save yourself even more on monthly payments. 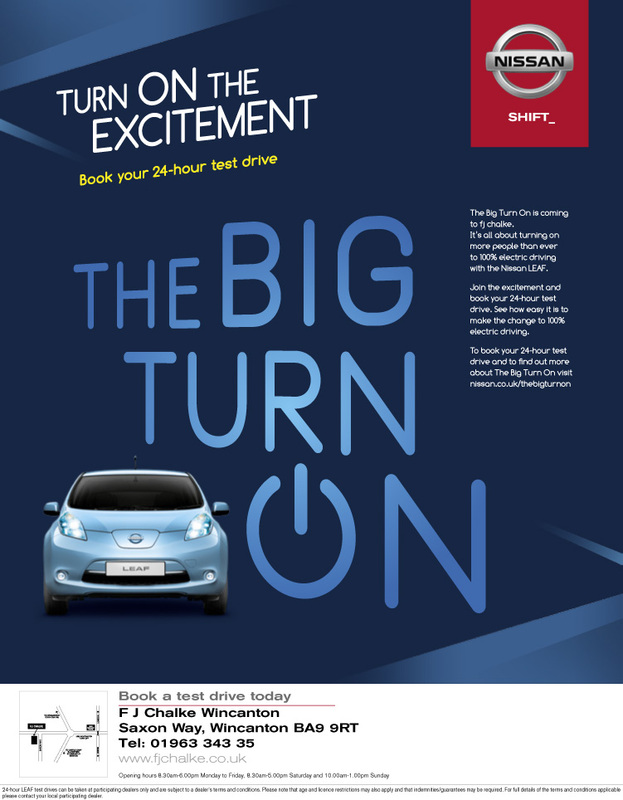 So enjoy the luxury, comfort and smooth ride of the Nissan LEAF – it may not be as expensive as you think! 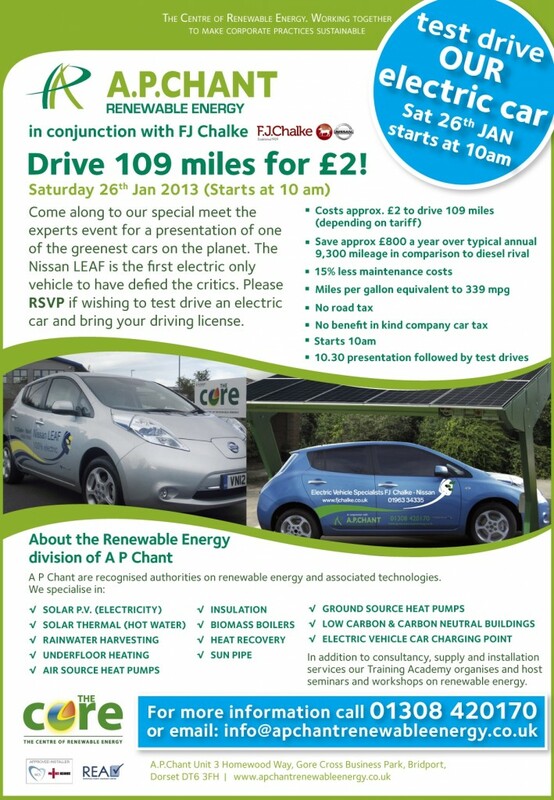 Give me a call (Sharon Fay) at FJ Chalke Ltd 01963 34335 or email sharon.fay@fjchalke.co.uk for FREE advice to get on the road to greener energy. 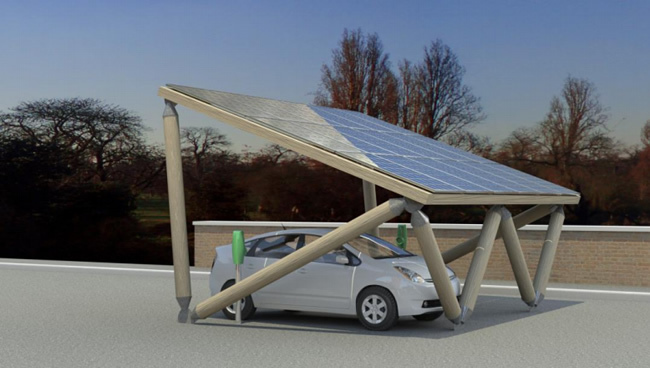 I have just been informed that Ecotricity have announced their new DC fast charge technology for the Electric Highway. 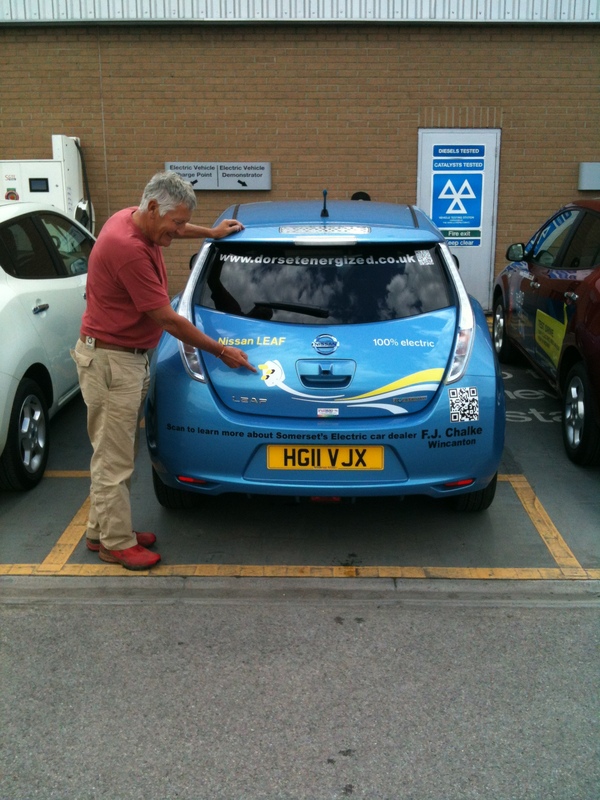 They have teamed up with Nissan to roll out fast charge technology at 40 Welcome Break motorway service stations. Hopwood Park, South Mimms and Oxford Welcome Break Service Stations are up and running. This means electric car owners like myself will be able to charge a Nissan Leaf or Mitsubishi iMiev in under 30 minutes. Use of Ecotricity’s charging network is currently free – they want to encourage the take-up of electric vehicles and being able to recharge quickly is obviously a big part of this. 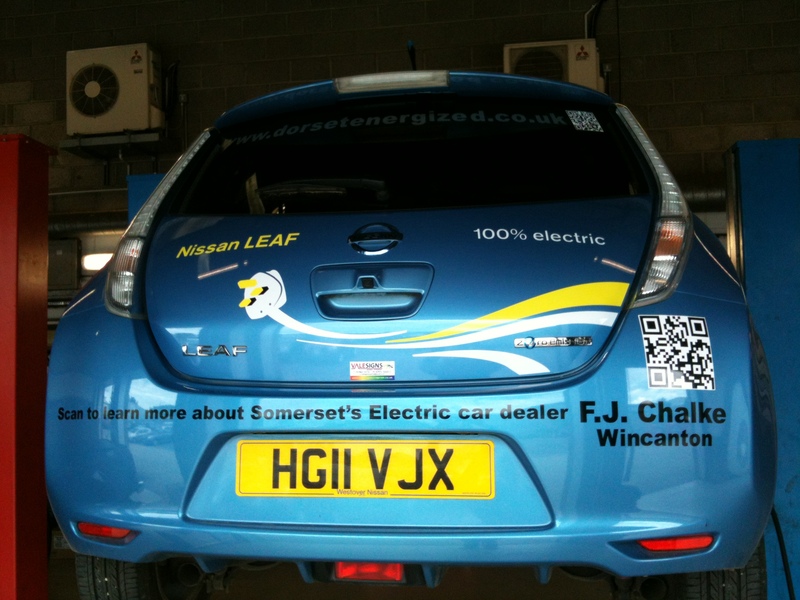 My name is Sharon Fay and I am the new Electric Vehicle Relationship Manager at Dorset Energized’s partners FJ Chalke in Wincanton. 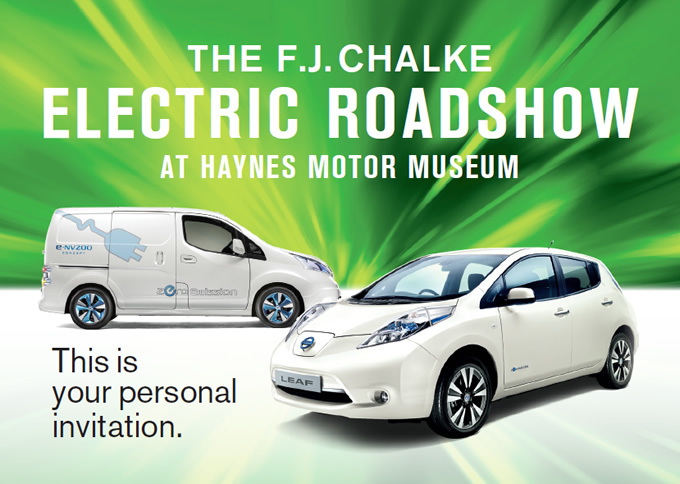 I have worked for FJ Chalke previously as Receptionist and then as Electric Vehicle Relationship Manager, but having been out of the car industry for a year and missing the buzz of sales, the role came up again as Electric Vehicle Relationship Manager [as Beverley has gone onto pastures new] and as they say… the rest is history. I am looking forward to taking the Nissan LEAF on the next stage of its journey and introducing new electric vehicles to the Nissan EV range. 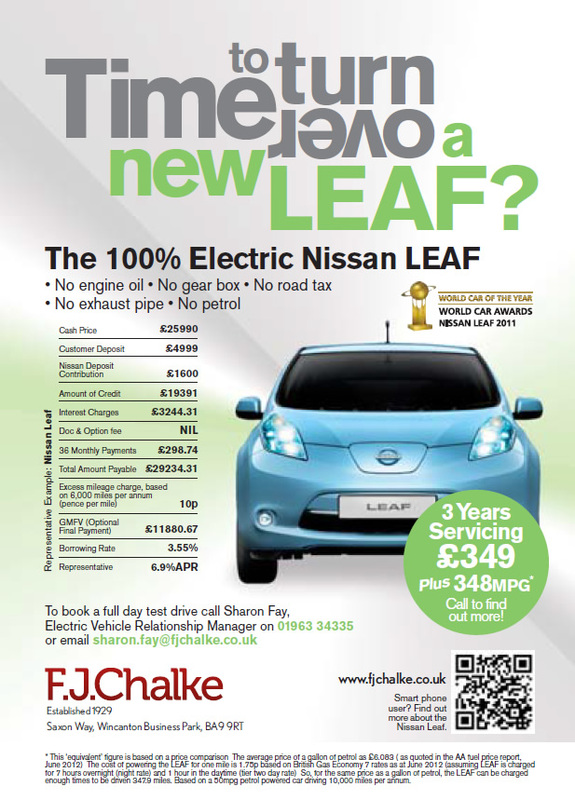 So if you would like to arrange a test drive, ask a question or have a chat about the LEAF please do not hesitate to contact me on 01963 34335 or sharon.fay@fjchalke.co.uk and of course there is lots more information on our website on: www.fjchalke.co.uk/eco. Electric Car Movement Picks Up Speed! 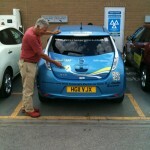 Not quite news from Dorset, but a bit further north the electric car movement has picked up some speed (apologies). 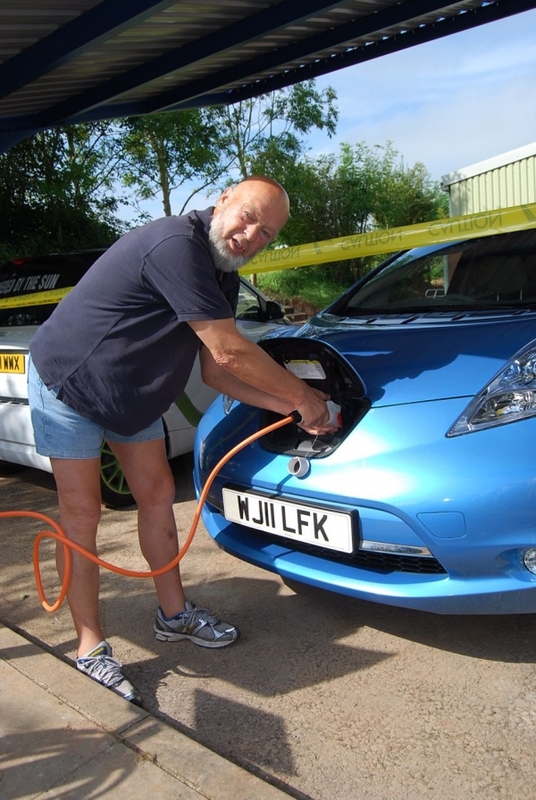 On Monday, Michael Eavis, of Glastonbury fame, was seen plugging his Nissan LEAF [leased from Dorset Energized partners FJ Chalke in Wincanton] into Bristol’s first free green public electric vehicle charger. Solar Sense installed the point and has confirmed it is for use 24 hours a day and, on top of this, they have just invested in a fleet of electric cars. If the demand is high enough, then hopefully more will be implemented within the Bristol area. Also, British Gas last week announced a new 6 month scheme with POLAR, through which the companies will install 1500 free charge points for people living in London, Milton Keynes and the Midlands as well as providing electric car owners with a free home charger and installation. 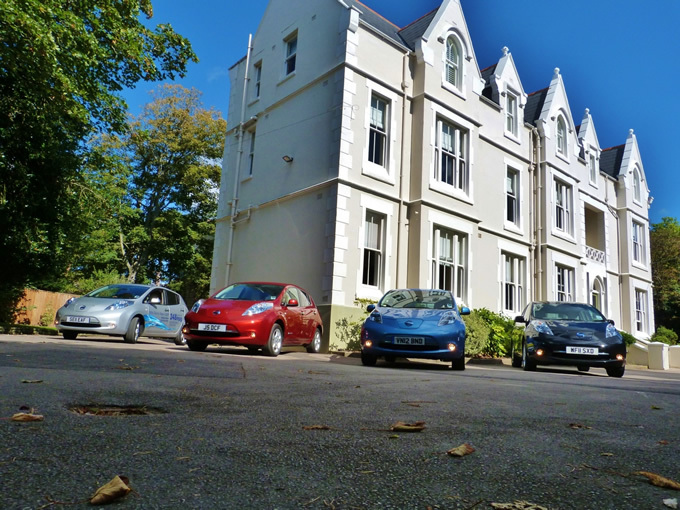 In Wales, Zero Carbon World, in association with Good Energy, have just installed 2 electric charging pumps at the Centre of Alternative Technology, with plans for more to hopefully increase the potential of electric transport across the border. Finally, the Department of Transport has published figures showing that 473 new electric cars were purchased between April and May 2012 – double the figure for the same period last year. 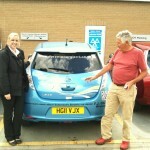 This can attributed to the plug-in grant scheme offering buyers £5000 of the 10 electric car models. It seems that the issue of what comes first: the electric car or charging point is beginning to be solved. Hopefully this can increase demand, reduce cost and bring the relevant infrastructure to areas away from the major cities, places like Dorset. Of course, this all means very little if the electricity is not coming from renewable sources but action to create a sustainable transport network is being taken, and sometimes action creates change. As one of the growing number of electric car owners I am travelling to just West of Taunton tomorrow a journey of 51 miles. My Nissan LEAF has a one charge range of 100 miles so its quite a finite judgement on whether or not I can make the return journey without a top up charge. If I can find a Nissan dealer who has the high speed charger within 30 minutes I can have 80% of my battery life re-charged, but they are few and far between. If I can find an outside 13 amp plug socket I can plug in and within 3 hours I have 30/40 miles which is all the comfort level I need to be sure of completing the return journey. But would you believe it they again take so much finding in convenient places. Already I have been parked on lawns outside hotels, behind the kitchens in factory sites and wedged in with golf carts at Golf Clubs. For my Taunton trip I have rung ahead and explained my situation and although I am sure we shall find a way the person I talked to was not able to confirm 100% all would be well. It’s interesting that in just the same way intrepid early motorists set out on 10/15 journeys not knowing if they would find a chemist or corner store selling petrol in glass jars.So they would take their own supply of small jars and top up regularly even on such a small run. It’s amazing to think of the advances that have been made in petrol delivery, stations etc. So it’s little wonder that at the beginning of the electric highway the going is tough for forward proofers like myself. It’s why I urge business and councils to begin to invest in the new way of travelling. Supermarkets are starting to put in charging pods but they are few and far between and hard to find. It’s time to really open up the highway, reduce CO2 emissions, reduce our reliance on Oil and focus on the new way forward. We can do it, and you know it’s a real New Industrial Revolution opportunity for the Country in these times of recession. Let’s get on with it sooner rather than just following the rest of the World. "It still seems rather astonishing that more businesses haven`t realised that by offering even a basic 13Amp plug/recharge facility, they could gain the support and the custom of electric vehicle users – and that of course includes electric cars, electric bicycles, electric scooters, electric motorbikes and of course electric mobility scooters as well. Seems like missed opportunity to me. " What do you think of this video for the Volkswagen Hover Concept Car?! It’s a pod-like zero-emissions vehicle that uses electromagnetic road networks to float above the road. However, here at Dorset Energized we want to encourage people, including technogeeks, to make small steps in the right direction, so we recommend getting an electric car like the Nissan LEAF before considering a Levitating Car! Find out more about the current zero emissions technology available today: www.letsgetenergized.co.uk/energy/electric-transport. "VW are clever at marketing, when people see this they think VW must be the Greenest car company, they couldn’t be more wrong! See this link for what they really get up to.